Legends cloud the life of Crazy Horse, a seminal figure in American history but an enigma even to his own people in his own day. 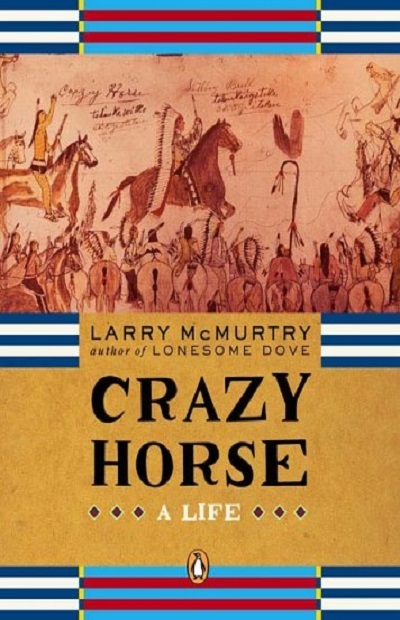 In this superb biography, Pulitzer Prize winner Larry McMurty looks back across more than one hundred and twenty years at the life and death of this great Sioux warrior who became a reluctant leader at the Battle of Little Bighorn. With his uncanny gift for understanding the human psyche and his deep love and knowledge of the West, McMurtry animates the character of this remarkable figure, whose betrayal by white representatives of the U.S. government was a tragic turning point in the history of the West. A mythic figure puzzled over by generations of historians, Crazy Horse emerges from Curry's sensitive portrait as the poignant hero of a long-since-vanished epoch.